The philosopher Leszek Kolakowski, beginning his work in Poland and continuing it in the United States and England, brought excitement into philosophy as a continuing ethical, metaphysical, and spiritual venture. 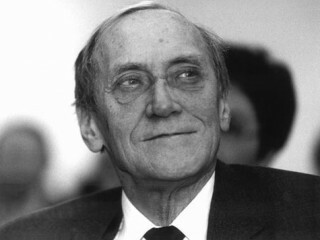 Kolakowski was the author of about 30 books, many of them only in Polish. His writings have been translated into some 14 languages. In addition to philosophy, he published three plays and three volumes of stories—or "tales," as he called them. His most massive book in English was the three-volume Main Currents in Marxism (1978), sometimes described as "a classic of post-Marxist thought." Shorter books in English included Conversations with the Devil, The Presence of Myth (1989), and Religion (1982). A revision of his Jefferson Lecture appeared in The New Republic (June 16, 1986) under the title "The Idolatry of Politics." View the full website biography of Leszek Kolakowski.